Very clean hotel and plenty of room. Super friendly staff and very secure. Out of everywhere we stayed for the week, they definitely had the comfiest beds! Great location to get to a lot of the clubs and nightlife as well as shopping and restaurants. The free parking is a huge plus! Would definitely recommend/stay here again. This was a nice place to stay. The staff was very accommodating. I would recommend this place to everyone. A great hotel! 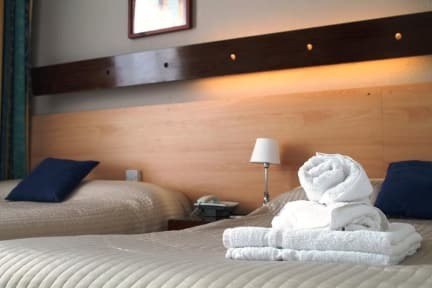 The staff were lovely, the room was very clean and it was a good location from the bus stops, city centre and restaurants. The only criticism was the wifi did not work in my room and there was no power point by the bed but across the otherside of the room. 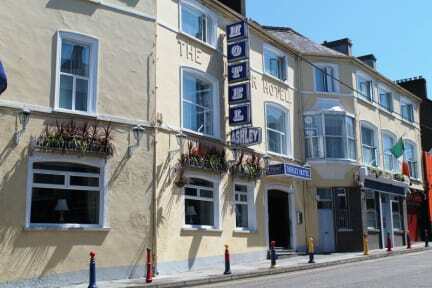 However all in all a great place to stay if in cork. Nice little B&B with very nice staff! Absolutely perfect location - could not have been better. Close to bars, the city centre, the bus station. The hotel is carpeted, because of that it has a strange smell throughout the hotel. No complaints otherwise. Staff is super nice, but it’s not worth the money. The room was clean enough but very outdated, not to mention two people walked in on us when we were sleeping. It was fine overall, but we would rather stay at a cheap hostel that’s probably cleaner and more updated. This was a cute little hotel in Cork, however the staff was a little unfriendly (especially the night porter, who seemed very disgruntled when we came downstairs to ask about getting change for the vending machine). Overall we had a nice stay with easy check in, luggage storage, and a secure and clean room. The hotel is a little old and therefore smells a little musty but it really isn't anything to concern people looking for an inexpensive and convenient stay! We were extremely disappointed in our stay at the Ashley hotel. From our arrival to departure, only one night- was less than we’d hoped for. The staff was rude and unhelpful, also there was quite the miscommunication when we asked about breakfast. A €7 cup of tea and stack of white toast was not worth it. There was no fresh fruit left nor any meats or cheeses.